The last time I wrote a “Hey, this person is noteworthy!” post, I took quite a few paragraphs to convey the horrifying that wonderment that is Gilles de Rais. (For those keeping score, he’s 90 percent heinousness, five percent jaw-dropping opulence, and another five percent wackadoo nonsense.) Today, I’m telling you about Gertrude Sanford Legendre, someone whose awesomeness can be related with five sentences and one image. 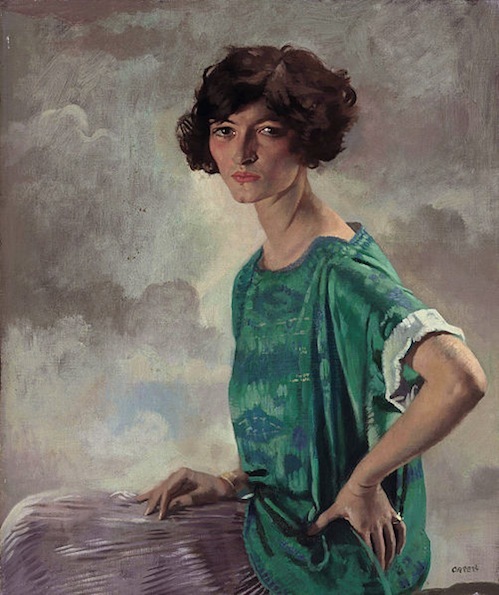 And finally the image: a painting of her by William Orpen that makes her look pretty goddamn boss. There’s no other way to put it. Gerty, if my 2011 is only half as interesting as any given moment in your life must have been, I’ll be doing well. EDIT: I stand corrected. There is another way to describe the painting: It looks like a Clue suspect card, especially when considered alongside her bio.